Spread across an area of 8, 63,490 Sq. 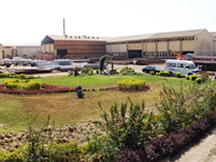 Ft., we are thoroughly equipped with latest machinery and equipment. It is our world-class infrastructure that permits us to house massive Hot-Dip Galvanising and Fabrication facilities near Vadodara. These operate on state-of-the-art systems and machines like Smart GEKA CNC machines and FICEP CNC Machines, enabling direct reading of drawings to punch, stamp and cut steel in any shape, size or bend without distortion. State of the Art Fabrication Plant supported by Imported CNC machines that are programmed to carry out complex operations for processing angles, plates, beams & channels. Modern Galvanizing Plant of (12.2mx1.2mx2m). 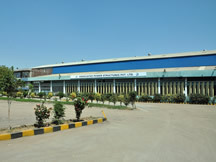 Equipped to handle heavy fabrication and machinery for carrying out jobs of Power sector like fabrication of turbines. State of the Art Fabrication Plant and A Galvanizing Plant having the dimensions (8.2m x 0.85m x 1.2m). Overhead and mobile cranes of different capacities, in house Quality Control Lab for galvanizing and in house Weigh Bridge of capacity 60 M.T. Imported CNC machines that are programmed to carry out various operations such as punching, stamping, drilling and cutting, Hydraulic presses along with machine tools, jigs & fixtures to ensure that bent items are handled without distortion.